Amidst the usual multitude of plush toys, licensed action figures, toy, RC and ride-in/on vehicles, construction kits, books, games, and other indoor and outdoor playthings at Toy Fair 2019, taking place at New York City's Javits Center this week, are a growing number of toys that teach coding. These coding edutainment toys, many aimed at preschoolers, include build-your-own action and art robots, stackable blocks and programmable pets, some designed to teach your youngster how to code before learning how to read. Also a major trend for the toys your kids will be clamoring for this year are those with augmented and virtual reality (AR, VR) elements to transport your prodigy into new environments to both teach and entertain. From the folks who brought you last year's Choo Choo Shoes – the shoes that make train noises - comes the somewhat less annoying and likely more kid-friendly Unicorn Shoes (Christmas, $39.99). Stepping hard starts "clip-clop" hooves sound effects, then jumping and landing on both feet initiates whinnying and tinkling magic wand sounds. The shoe's batteries are good for 100,000 sound cycles, which means your child is likely to grow out of them before the shoes cease their equine clattering. Instead of a pre-built programmable device, PaiBotz from Pai Technology is a coding robot that kids have to first creatively create combined with learning coding fundamentals. PaiBotz (end of April, $99.99, available via pre-order now) includes 150 pieces, including two motors so the completed bot can roll and spin, an object recognition sensor, and a four-hour battery. 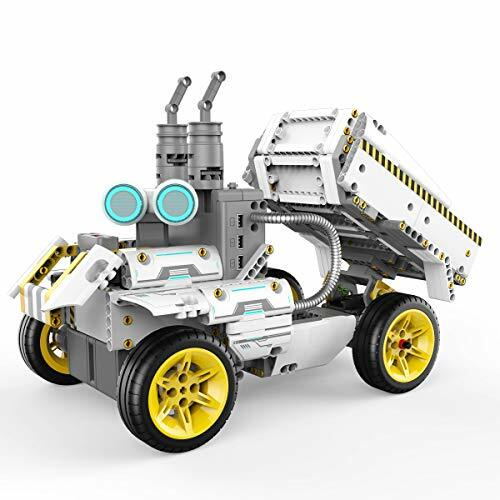 Kids can construct six pre-designed bots or infinite varieties of their own imaginations that move, light-up and make noises. The free PaiBotz app (iOS and Android) enables drag-and-drop movement programming, the ability to help each bot creation to develop its own personality, and 30 interactive AR puzzle adventures to navigate the real-world PaiBotz through. If 150 construction pieces seems overly complicated for your kindergartener, this Cubelets Curiosity Set from Modular Robotics (March, $249.99) consists merely of 10 small square blocks, a Bluetooth connecting "hat" to transfer coding from the app, and a couple of Lego Brick adapters. There are three classes of blocks, all of which clasp onto one another magnetically: two "think" blocks that store the coding, three "sense" blocks that can react to light or hand gestures, and five "act" blocks that allows the seemingly ungainly final construction to move and roll around. An almost infinite variety of blocky combinations can be constructed – especially when Lego figures are added – from these 10 blocks that have to include at least one of each class of block, along with the 4-6-hour battery block. Programming can be accomplished via the free iOS, Android or Amazon Fire OS app. Instead of requiring an expensive smartphone or tablet and an app to view multimedia content from a book, LeapFrog has created the LeapStart Go wand (August, $49.95) interactive learning system, which replaces the company's current – and clunky – plastic folder-based multimedia book-reading system. Simply touch the wand to an indicated spot in one of LeapFrog's more than two dozen (and growing) LeapStart books, and either the text will be dictated and/or a small movie or a game will appear or play on the wand's speakers and small screen. SpiceBox has augmented its line of Professor Maxwell "4D lab" book-centric kits with the 4D Galaxy (March 31, $39.95). Like its previous 4D Chef kit, included inside the 4D Galaxy box are a 50-page book, VR goggles into which you snap a smartphone as a head-mounted display, and two-dozen-plus associated components. Each 4D Galaxy page is marked either for AR content, viewed via phone or tablet through the free iOS or Android app, or VR material, viewed via the smartphone/goggles, for exploring the Milky Way, and include virtual walks on the moon and Mars. You've either wrestled unsuccessfully with a Rubik's Cube, or you've solved it and it now sits in its uniform colors on a bookshelf as proof or your twisting legerdemain. In either event, the damnable thing is frustrating for repeated fiddling. Enter Super Impulse's Rubik's Tilt portable hand-held video version (August, $24.99), with which you turn rows or columns with a flick of your wrists accompanied by familiar Cube turn sound effects. Instead of the physical Cube's one-method-fits-all play, however, Tilt lets you choose one of three difficulty levels, gives you turn hints every 10, 20 or 30 seconds, let's you play against a clock or against other Rubik turners, or you can easily just start all over again without a lot of the physical twisting and turning to erase a completed cube. Tilt runs on 2 AAs, which provides 12 hours of cube manipulation. It's a collectable figure. It's a mobile app. It's an AR experience. It's a single or multi-play streaming videogame. Wicked Cool Toys claims its forthcoming LAMO ecosystem is equal parts of all of these play/game pastimes. LAMO all starts with one of five 5-inch collectable vinyl figures (fall, $19.99), which includes the company's Tyler "Ninja" Bevins, with more to come. Even before you buy, you can download the iOS or Android app to experience some of LAMO's AR features in the store. Once purchased, you use your phone or tablet to read the included QR code to create a series of extensive character AR actions and activities. You then scan your figure, which you can virtually configure, into game play by yourself or with other LAMO owners. Figures, activities and games will be continually added, along with premium gaming add-ons ($1-$10). Singing along with your car radio is one thing. Singing along and hearing your voice alongside it's famous performers through your car's sound system is the idea behind this James Corden Carpool Karaoke-inspired mic system (summer, $49.99) from karaoke gear specialist The Singing Machine. You wirelessly connect the golden mic to a vacant FM frequency on your car's radio or via a line-in connection to your car stereo, then pair the mic via Bluetooth to your smartphone. Now just pick your favorite song, hit play, and croon-along with the pros in all your pitchy glory. The mic's rechargeable battery lets you duet for 4-5 hours, unless you physically jack it in to power via your car's USB socket or cigarette lighter adapter for really long-haul sing-alongs. E-bikes in an urban environment often trigger more non-riding toting problems than they're worth unless they can fold up. Smarcircle's S1 e-bike (end of May, $1,399; available for pre-order now, $999) solves this schlepping problem by compactly folding up to fit into the included sling bag sleeve or forthcoming rolling suitcase. Made from carbon fiber and weighing a mere 17 pounds, the S1 can be unfolded and made ready to ride in around a minute, can travel up to 17 miles on its seat-based battery pack at speeds up to 15 miles per hour, includes front and rear lights, comes in black with either orange, blue or green trim, and can carry up to 220 pounds. Newbury is a town haunted by 75 ghosts, and Professor JB, along with high schoolers Jack and Parker, have set themselves to hunting down these annoying poltergeists. That's the plot behind Lego's new Hidden Side AR block ecosystem. Each of the eight transformable town sets, locations and vehicles such as a school, train depot, school bus, a diner and, naturally, a cemetery, will be available this summer for between $20-$130 each. Each Lego Hidden Side set contains hidden supernatural aspects and, after being built, you start hunting AR ghosts via the free iOS or Android app, which provides all the biographical and behavioral details you need on each ghost to help hunt them down. Hidden Side AR games and experiences will be continually updated, especially around scary events such as Halloween. Hoping to spark both left and right hemispheres of a child's developing brain, Educational Insights' Artie 3000 (March 22, $69.99), designed by a Mensa member and endorsed by the genius organization, both teaches programming and promotes artistic creativity. Artie can hold most brands of washable markers – it comes with four – and can be programmed in Java, Python, Blockly or Snap!. You place a pen inside Artie, and then either choose one of the dozen-plus pre-programmed designs or, once the child gains some experience and follows the included instructions, drag-and-drop code to create custom Artie-drawn art. Place Artie 3000 on a piece of paper of nearly any size, and it'll proceed to sketch in curves and straight lines as programmed. A child will be able to view their executed coded design within the app before committing Artie to paper, and Artie 3000 will draw for up to 10 hours on a pair of AA batteries. 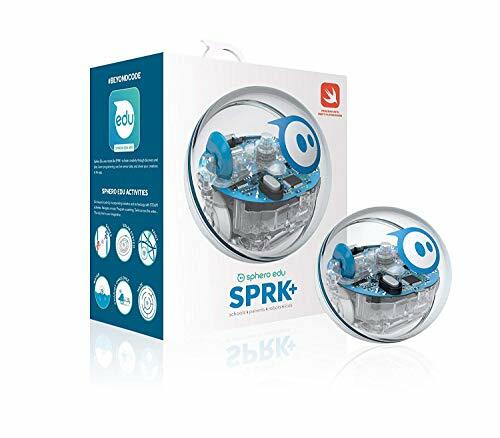 No apps, no expensive smart devices, no screens needed for preschoolers to program one of these adorable Learning Resources Coding Critters animals (June, $39.99) to independently perform programmed paths. There are three 20-piece Coding Critter kits, each of which include an "adult" programmable and a smaller/young companion: cat and kitten Scamper and Sneaker, dog and pup Ranger and Zip, and dino and – dinette? – Rumble and Bumble. 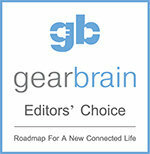 On the back of each of the adult critters are four directional arrows and a center button. Simply pushing these buttons in particular sequences tells each Critter, powered for up to 5 hours via three AAA batteries, which ways it should travel. Each kit includes an activity booklet with suggested codes, which can encompass up to 30 steps each, and includes 20 pre-programmed activities. After you choose a tech toy for one or all of your young'uns, here's a high tech toy for you – an actual-size interactive HAL 9000 computer console from Stanley Kubrick's spooky 1968 sci-fi classic, 2001: A Space Odyssey (spring, $999). Behind the console's façade is a 10.1-inch Android tablet programmed to voice respond in Douglas Rain's ominous monotone to cues from the movie dialog. In other words, no matter how often you ask, HAL is perpetually sorry not to be able to open the pod bay doors. The console also doubles as a Bluetooth speaker, to which you can pair your smartphone so HAL can play music – even "Daisy Bell (Bicycle Built for Two)."